Movimiento de Arte y Cultura Latino Americana (MACLA) is an inclusive contemporary arts space grounded in the Chicano/Latino experience that incubates new visual, literary and performance art in order to engage people in civic dialogue and community transformation. 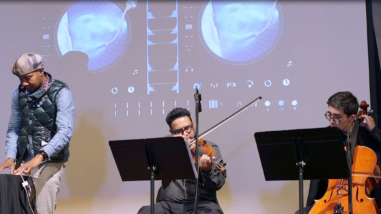 Its programming includes artist residencies, commissioning and presentation of performance work, visual arts exhibits, and digital media-based youth arts education. Through its mostly free and low-cost programs, the organization reaches 35,000 people each year. Renewal funding will help MACLA maintain the quality and scope of its programs, and strengthen board and staff capacity. Movimiento de Arte y Cultura Latino Americana (MACLA) is a hybrid urban arts space located in downtown San Jose, and rooted in the Chicano/Latino experience. MACLA intersects many communities, cultures, and aesthetic approaches. Its arts programming stretches across live theater, presenting nationally recognized performers, visual arts exhibits, youth programming that engages participants in activities from folkloric traditions to multimedia productions, and art workshops. 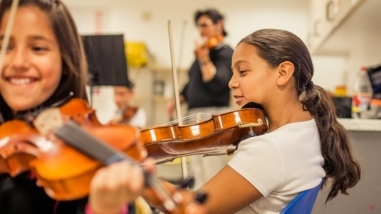 With a grant renewal, MACLA would maintain the quality of its performing and youth arts programming, and continue to work with DeVos Institute of Arts Management to ramp up the capital campaign for its multimillion-dollar effort to purchase and renovate its current facilities.